Multimedialer Mobilfunk: Wie macht man Inhalte mobil? ACTen-Expertengesprächsrunde. TurmForum Stuttgart 21 (Hauptbahnhofsturm), Stuttgart, 16:30h - 18:30h. HCI in Mobile Guides. Workshop at mobileHCI '03, Fifth International Symposium on Human Computer Interaction with Mobile Devices and Services, Udine, Italy. International Conference on Cross-Media Service Delivery in Santorini, Greece. INFORM workshop: User needs for mobile electronic information services. Athens, Greece. Organised by ACit GmbH and hosted by INTRACOM in association with the EC INFORM project (elpub website) which is funded by the Interactive Electronic Publishing sector of the IST programme. More information (summary of the workshop and powerpoint presentations). VNET5 workshop for electronic publishing projects and participants from industry in Warsaw, Poland. Sponsored by MOST. 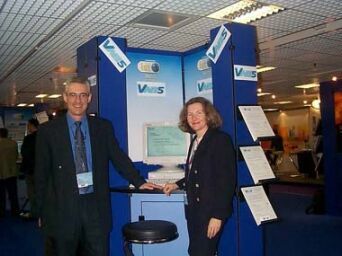 VNET5 presentation at Usability in Practice 2002 organized in cooperation with SIGCHI Italy in Milan. Swiss ICT: User Centred Design - Besser verkaufen durch Usability. Zürich, Switzerland. Industrial dissemination event. Milan, Italy. EVA Conference, Berlin, Germany. Poster exhibition (Nov. 7). Presentation "VNET5 User-centred product creation" (Nov. 8). Usability: from theory to practice. Industrial dissemination event at Ticino Informatica, Lugano, Switzerland. More than 20 professionals and educators interested in the theme of web usability attended the workshop. The VNET5 user-centred approach was illustrated paying particular attention to the techniques and tools for an effective usability evaluation of web sites. Examples from real projects helped to understand the trade-offs and benefits of the MiLE (Milano-Lugano) Evaluation Method for web site usability evaluation. A rich discussion with participants allowed gathering positive feedback and practical insights on the issue. Fourth VNET5 Workshop, Zürich, Switzerland. VNET5 Session at Technical University, Sofia, Bulgaria. Third VNET5 Workshop, Lugano, Switzerland. VNET5 Session, at ICT Cooperation Meeting, Prague, Tschechia. 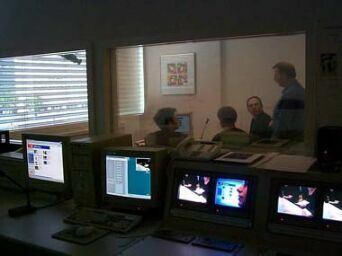 VNET5 Tutorial and Presentation at WWDU 2002 conference, Berchtesgaden, Germany. IEP Concertation Meeting, Barcelona, Spain. VNET5 Workshop: User-centred development for cultural heritage applications on 20 March, and presentation on 21 March, at EVA conference, Florence, Italy. Milia 2002, Cannes, France. Members of the VNET5 team presented VNET5 to visitors at EC stand. Second VNET5 Workshop, Milano, Italy. Digital Heritage Support Actions Concertation Event, Vienna, Austria. The objectives of the event were to discuss issues related to the current IST support actions and to look into emerging trends and future needs of these types of actions. First VNET5 Workshop, Porto, Portugal. IEP concertation meeting, Florence, Italy. Introduction of VNET5 to IST projects of the interactive electronic publishing action line.